Microsoft introduced the Background Blur feature for Teams software in September. Teams are the team management and calling software from Microsoft that comes with Office 365 suite. 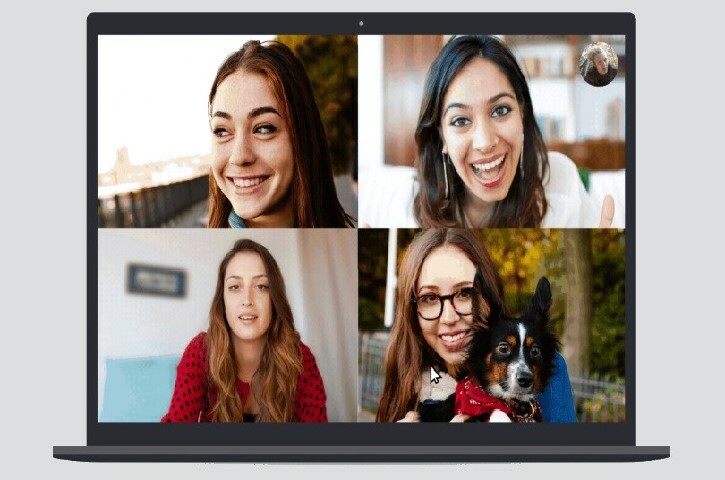 Now, the company has announced the addition of a feature to Skype, so the users can blur their backgrounds while the video is calling others. This feature will help the users to focus on the face more than the background. So, instead of cleaning the background, users can use this feature to blur it and reduce the background distractions while calling others. Skype app for Desktop and Laptops has received this update that enables the Background Blur toggle button in the settings. When users want to blur the untidy background while calling someone with utmost importance, they can use this feature. Microsoft has warned the users to use this feature cautiously because sometimes it might not correctly blur the background. The element is based on the Artificial intelligence algorithm from Microsoft. The AI algorithm identifies the human face and automatically blurs the background. It does not come with the feature to manually adjust the blur location and blur limit. Just like Microsoft Teams, the algorithm will automatically blur the background to appropriate limit once identified the face of humans. If two people are sitting in front of cameras, then the AI might get confused and may not blur the background properly. To enable this feature, users have to hover the mouse pointer on the “Video” button and then allow the blurred background. The feature provides natural looking blur, similar to that we can achieve with manual focus DSLR cameras. As of now, this feature is available for Desktop and Laptops. There is no information on the availability of this feature for Smartphone and Macintosh computer users.